Have you ever seen over 50 brides in the same room? 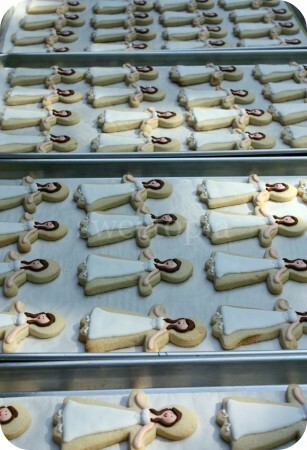 I was asked to make 50 bride cookies and 50 apple cookies for a bridal shower. There are actually more than 50 here though; I always make extra in case some break or don’t turn out the way I like them to. 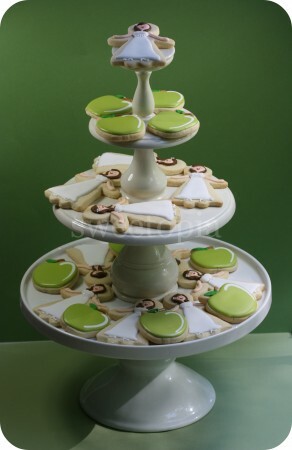 The general bridal shower decorating theme was green apples, if you’re wondering what Granny Smith decorated cookies are doing on these cake tiers. I mixed Ateco Avocado Gel Color and Ateco Electric Green Gel Color together to try and get the right shade of green. They are sugar cookies decorated with royal icing. As usual, I used Peggy Porschen’s sugar cookie recipe as well as her recipe for royal icing. The bride-to-be has brown hair and some jewelled details around the empire waist of her wedding dress, so I tried to replicate some of the details using Non-Toxic Disco Dust . Thank you to Wedding DNA for inspiration with the bride design. Here they are packaged up and ready to go. I hope the bride-to-be is happy with them!! I used Americolor copper (flesh tone) . May I ask what colour or mix of colours you used for the bride’s skin tone? I used a little tiny bit of copper and pink. Wow! I am so inspired by your beautiful creations. 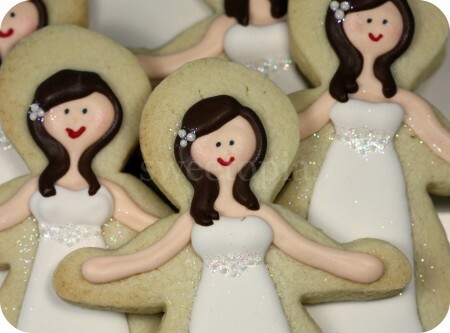 I would like to try and make these bridal cookies for the shower we are giving my niece. She would love them! Do you have any suggestions of how I might be able to create the brides shoulder lengh hair that is blonde and very curly. Is there a technique and/or colors you might suggest. Thanks for your help. I would suggest doing a flat base (like the ones here), and then use a thicker icing of the same color on top of that base, to either pipe squiggles or little curls (open circles or spirals – you might have to play with that a little and see which look you like best). Thank you, Marian for your help. 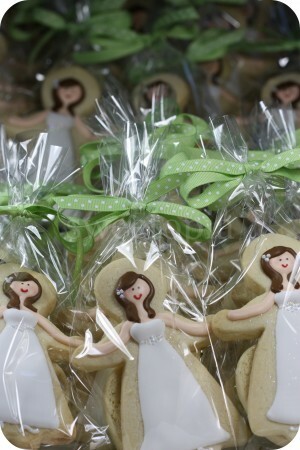 One more question, do you remember what size cookie cutter you used for your bride cookies? Hi Kathy, the cookie cutter was about 6.5 inches or 16.5 cm. really great job AS USUAL. 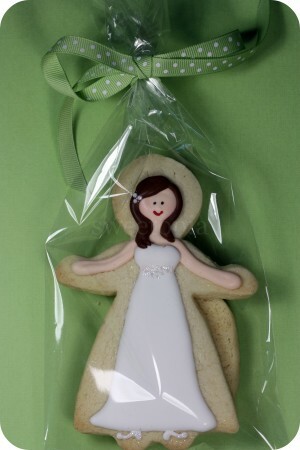 I am just about ready to start decorating my “bride” cookies. I am excited! Do you remember the steps you did when decorating the cookie? Any help would be appreciated. 2) When that was dry, I piped the white dress and the facial features. 3) Once the dress was dry, I added the details and the brown hair. 4) Once the hair was dry, I piped the ‘hair accessories’ and feet. Have fun with and please share your pics on my facebook page when you’re done. Would love to see them! 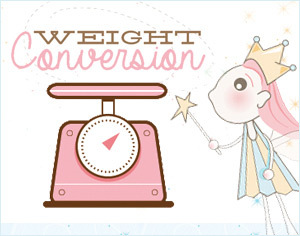 @ Carol McNamara: You can find it and others in the recipe section at the top of the blog. How did I miss these cookies!!! They are so beautiful, and you’re right very Springy & fresh! 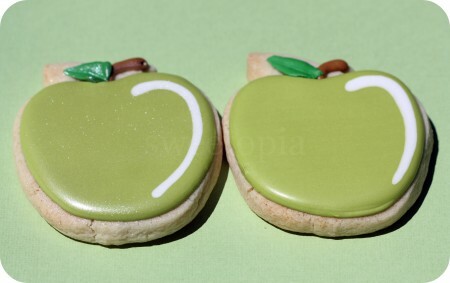 I wanted to make these apple cookies for a teacher welcome back to school party. I was wondering in order to pipe the leaf, mdoes it have to be a stiff consistency? The white line on the apple , do i apply it after the green color has dried or is it wet on wet technique and what icing tip did u use for it? And last, most important question is what is the speed you use to mix your royal icing in the kitchen aid? Stir or speed 2? That’s so funny – I thought i had answered this question, but maybe I didn’t wait for the page to load or something. The little leaf has to be a stiff consistency, yes, in order to hold its shape. I used the same consistency of icing (10 second) for my apple and for the white line on the apple. I piped the apple first, and then the white line on top right away. I always stir my royal icing on the lowest possible speed (stir). understands what they are talking about on the web. You actually know howw to bring an issue to light and make it important. side of your story. I was surprised you aren’t more popular because you most certainly possess the gift. 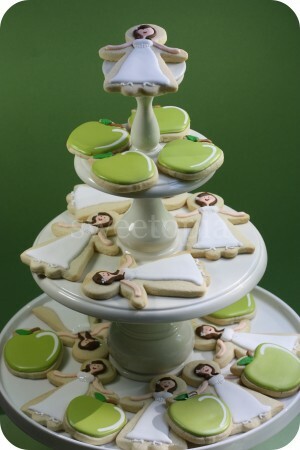 I love these green apple royal icing cookies! They look amazing! By any chance do you ship? I’m not that crafty and fear mine would show it.